Do something unforgettable! Horse drawn carriages and wagons for weddings and special events in Orillia, Barrie & Muskoka. 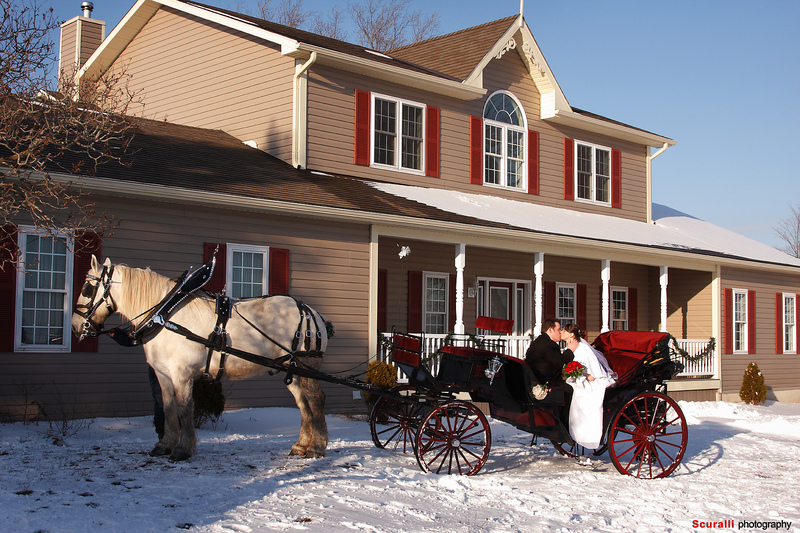 A horse-drawn carriage will make your wedding or event even more special. An unforgettable ride to and from your wedding. Creates a wonderful, unique backdrop for your wedding photos. An over-the-top romantic gesture for your wedding proposal. A truly memorable way to celebrate your anniversary. An impressive, respectful funeral tribute for a loved one. Wagon rides are available all year round for private, corporate and community events. Be Unforgettable with a horse-drawn carriage. If you're planning something special in Orillia, Barrie or the Muskoka area, contact us. Call, send email or submit the form below. If you haven't heard from us in 48 hours, please give us a call. "Life is not measured by the amount of breaths we take, but by those that take our breath away." Copyright © 2013 Mother Fudruckers Farm.